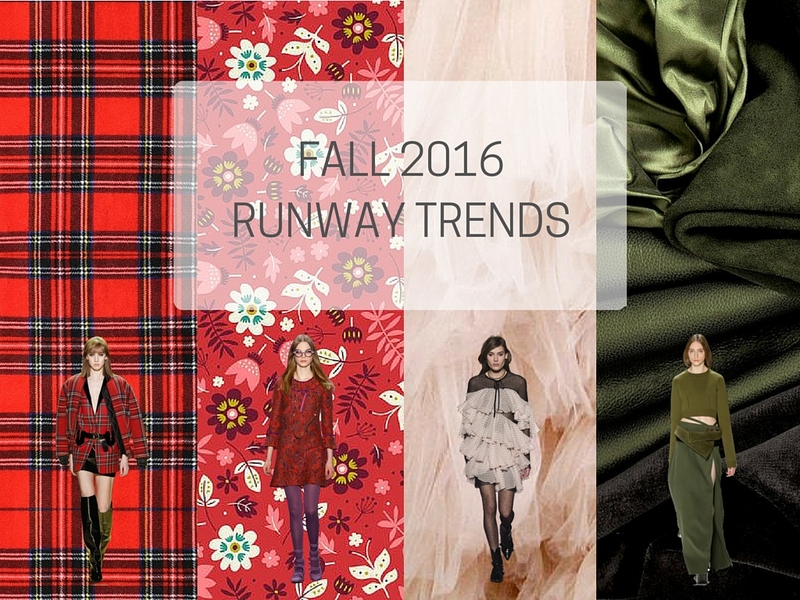 Runway fashion is undoubtedly for the rich: changing closets seasonally is not only expensive but impractical for most non-celebrities. However, it can still be fun to mimic certain easy-to-find runway trends in everyday life. These trends may already be in your closet, and if not, they're available via fast fashion retailers for less than $50. See some of these retail options at the bottom of the post and be inspired by my trend picks from the FW 2016 runway! Photos via: Dash of Darling, CollegeFashionista, No. 21, Vetements, Barbara Bui, and Brooklyn Blonde. 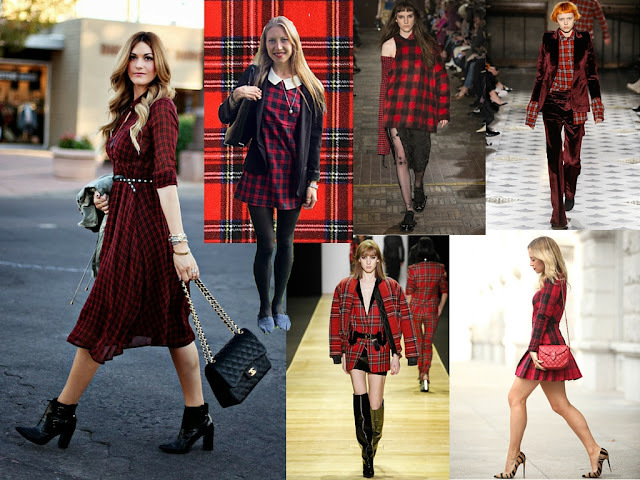 Red plaid: Channel your inner schoolgirl in this vibrant but easy-to-wear pattern. Photos via: Anna Sui, McQ Alexander McQueen, A Clothes Horse, Sarah Styles Seattle, Collage Vintage, Prada, and Alice + Olivia. 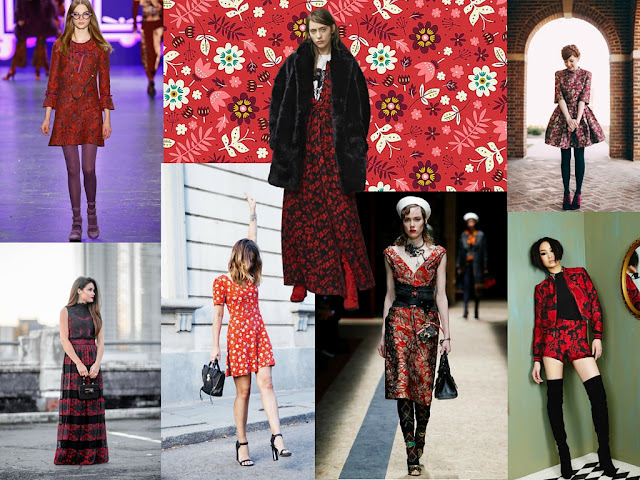 Red floral: The perfect spring-fall transition trend features a spring pattern and a fall color scheme. Photos via: Chloé, The Mysterious Girl, Philosophy di Lorenzo Serafini, Broke & Fabulous, Hello Fashion, Francesco Scognamiglio, and The Fashion Cuisine. 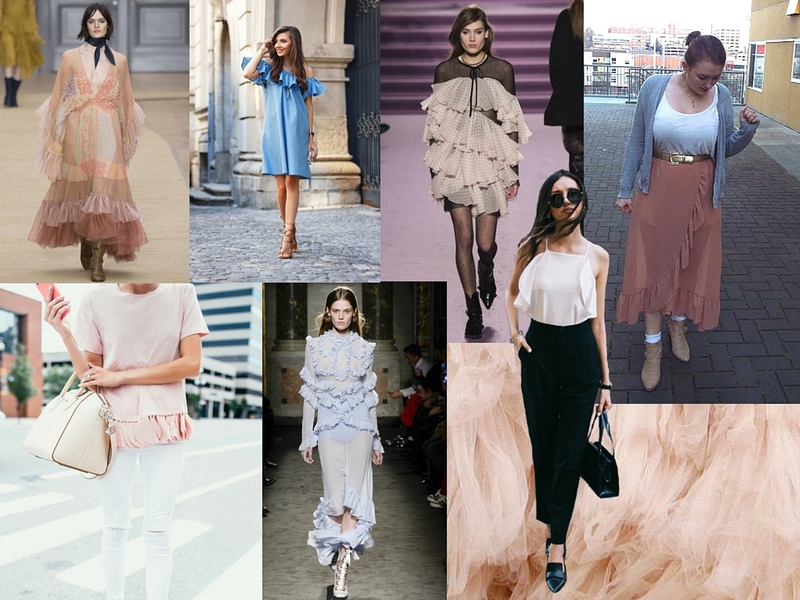 Ruffles: This traditionally feminine trend is sure to make you stand out. Photos via: Zoë Jordan, Ports 1961, Sincerely, Jules, 3.1 Phillip Lim, Topshop Unique, Damsel in Dior, and Vera Wang. 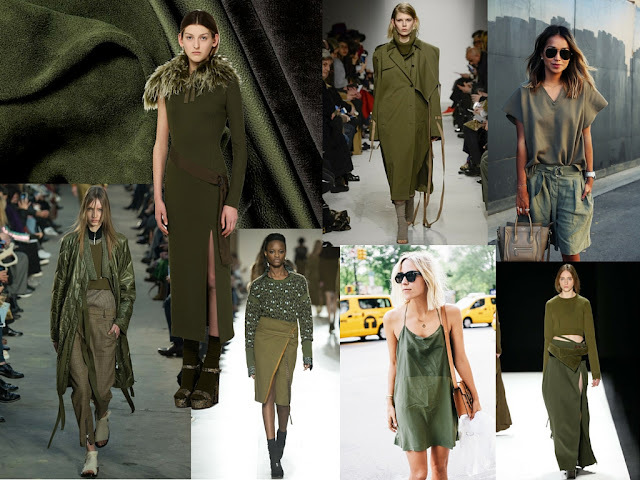 Olive green: After the light herb color was seen last fall, this is the perfect next-step. For further reading on inexpensive runway trends, check out my Her Campus posts on each of the four weeks of Fashion Month. I love this post, darling! You really picked up on the hottest trends!